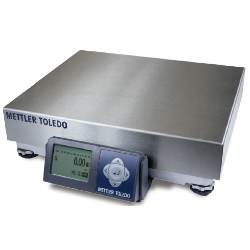 Mettler Toledo BC60 scales include the latest technology & is the replacement for the legendary PS60 scale. Offers same ruggedness, reliability, and easy to use. Designed to work with UPS WorldShip®, FedEx Ship Manager®, DHL EasyShip® & other shipping and manifesting software. Ideal for parcel shipping stores, warehouse packing stations & shipping departments. Mettler Toledo BC-60 shipping scales are ideal for many weighing applications where only gross weight readings are required and where economy or system integration is important. This parcel scale from Central Carolina Scale is commonly used at mail box and shipping stores, post offices, corporate shipping departments and package delivery drop-off centers. The BC 60 replaces the PS60 scale and is an ideal choice for PC-Based carrier shipping systems. It is compatible with shipping systems from UPS, FedEx, DHL, Airborne, and many others. The truth is we've used the predecessor to this scale in our own shipping department for many years. The shipping scale is easy to use, connects to the computer and easily sends the package weight to the shipping software. This allows your shipper to pack the box correctly and not worry with trying to type a weight into the computer. This is truly one of the most easy to use and reliable scales that you will find. The Mettler Toledo BC60 is a great choice for your shipping department because shipping carriers like UPS and FedEx need the weight of every single package they accept into their system. This information is important for the loading their trucks and planes as well as determining the cost to ship every single item. Carriers require that you provide accurate weight information when submitting your shipping documentation. If the weight reported is lower then the actual weight, carriers can bill you for the difference. The BC 60 has a platform size of around 12" x 14" which works for most people but if you need a larger weighing surface, please see the BC-150. Adding an accurate Mettler Toledo BC-60 electronic scale to your shipping eliminates the margin for error and saves time and money associated with recording inaccurate weights. These scales weigh with greater accuracy than less expensive "office store" scales. Stop guessing the weight of your packages or hand entering the weight into the computer. You may be paying too much to ship your packages by incorrectly guessing the weight of your packages or by relying on an inaccurate "office store" scale. You need an accurate Mettler Toledo BC 60 shipping scale that can easily be connected directly to your personal computer either by RS-232 serial or USB. Save time and become super efficient, buy a Mettler Toledo shipping scale and it will accurately weigh your packages, send the weight directly to the supported software. 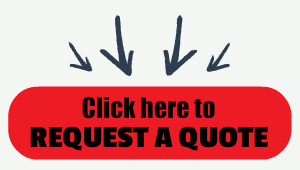 Saves time and eliminate errors. The scale includes a quick start guide so you'll know what to do when you get your new scale. We also have a great version of this scale available for weighing both letters and boxes, see the BC-6L for more information. The Mettler Toledo Shipping Scale was designed specifically for parcel shipping with UPS and Fed Ex. It's fairly simple to connect to your computer and the scale is NTEP approved legal for trade. Whether at the receiving or shipping dock; stand-alone or computer-based; in manufacturing or retail you will get accurate weight readings. USB and RS232 ports are standard with cables. Platter Dimensions: 12.3" x 13.9"